See the grand opening ceremony here. The Park Avenue (SH 9) corridor in the heart of the mountain town of Breckenridge, Colorado experiences substantial traffic during peak tourist seasons in both winter and summer, resulting in congestion and pedestrian safety issues. Park Avenue is an existing two-lane roadway and traditional widening was determined to be cost prohibitive through many sections of the corridor. 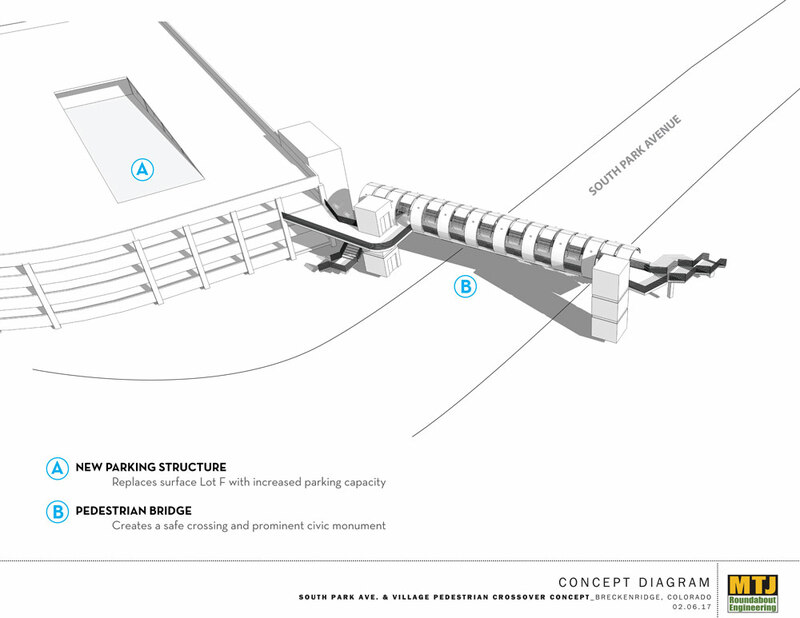 The Town sought an innovative solution to improve safety and operations for all modes and transit circulation along the corridor without widening the roadway. 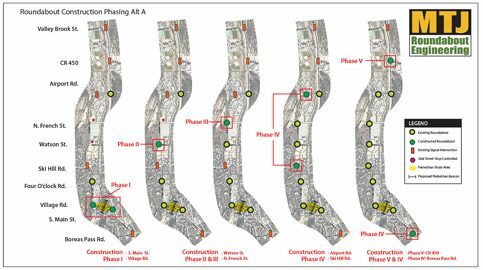 MTJ Roundabout Engineering, working with partner firms of McDowell Traffic and JVA Inc, employed several analysis methods and developed concept designs to determine the feasibility of roundabouts and/or signals to solve these problems. The multi-phased analysis built upon one another in a logical manner and included both deterministic and micro-simulation models to ensure accuracy and sound decision making. 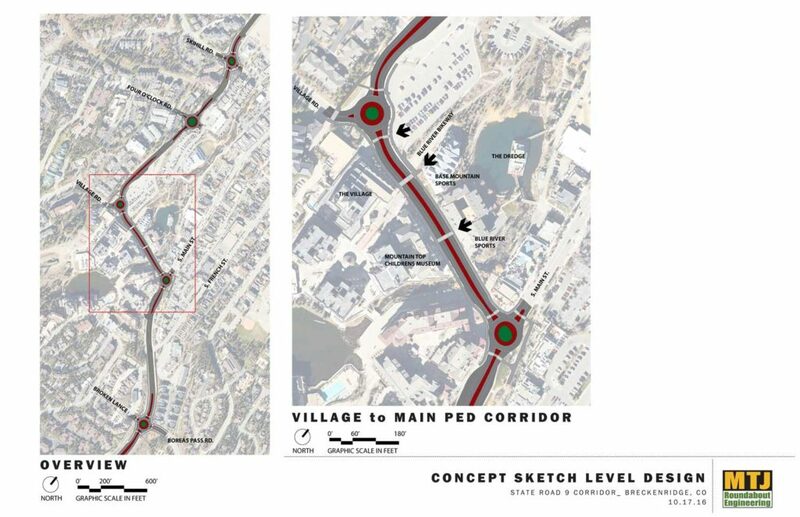 The modeling showed that key operational deficiencies that occur along the corridor would be alleviated with a phased installation of single and flared two-lane entry roundabouts at all intersections. 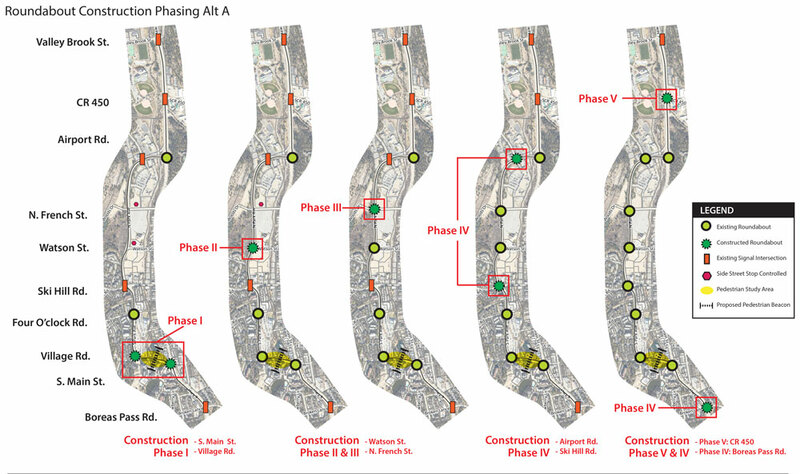 Heavy pedestrian movements between Village Road and Main Street, was a critical analysis component and a mid-block signalized pedestrian crossing was evaluated with multiple timings to find the optimum performance between vehicular and pedestrians LOS. The analysis found that the greatest benefit was achieved by prioritizing roundabout construction at critical intersections along the corridor, including access control and transit re-circulation to improve transit operations.